Knowledgeable, professional and easy to talk with. Dr Arroyo is always professional & friendly. On time, listen to me, very pleasant,very helpful! 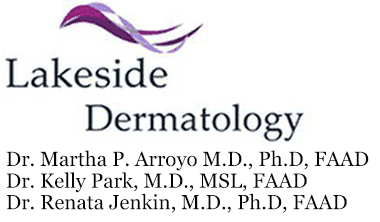 Dr. Arroyo is a great dermatologist! Very knowledgeable and takes time to answer questions! As usual staff pleasant and efficient. And Dr. Arroyo so cheerful and reassuring. Makes doctor visits a fun experience. Very good, very happy with everything. My Dr. visit was very good, curtias, and complete. I appreciate the staff. Absolutely love Dr Arroyo. She is kind, warm she’s listening while working everything you could ask for an a doctor. Who somehow treat you like a friend even though it’s only your second visit. Thank you for the great care! See you in a year. This is one yearly visit I’ll look forward too. Outstanding doctor, PA & CNA. Incredibly knowledgeable, intelligent, and kind. Very grateful for their expertise. Very professional and helpful. Staff was very nice. Caring and intelligent people - love them all!